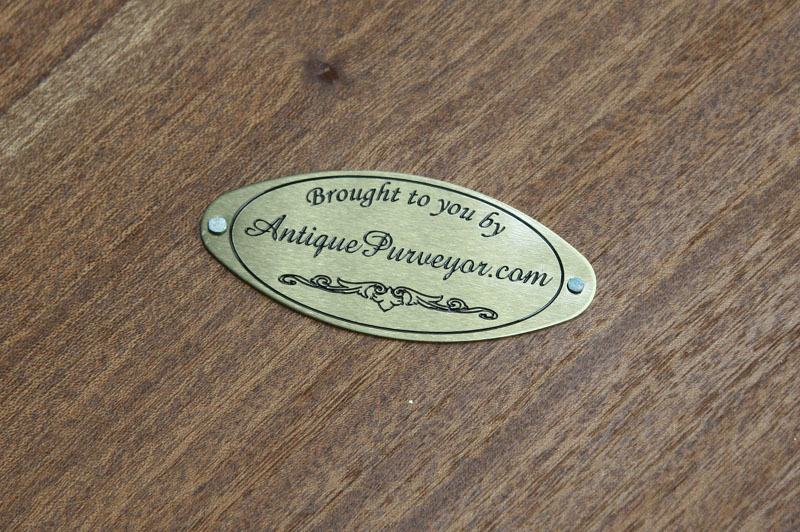 Brown Leather Office Chair with Swivel Seat and Casters. Description: Leather office chair with the ability to swivel, tilt and roll thanks to its casters mounted to a wooden base. 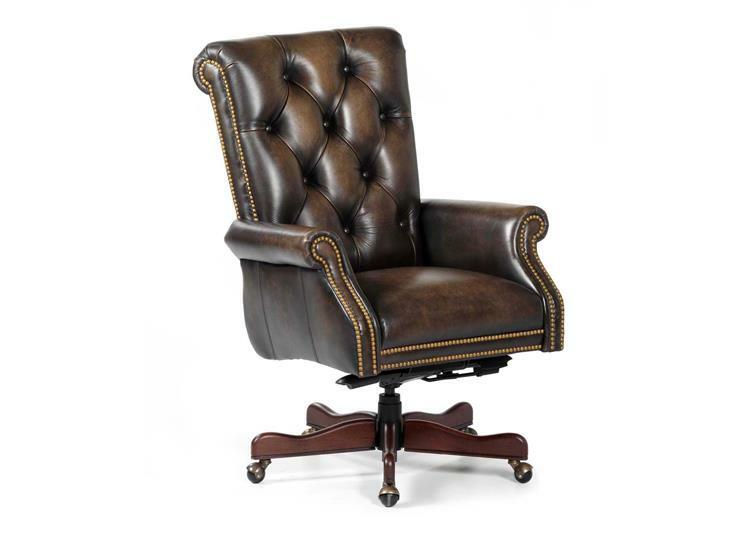 This brown leather tufted office chair is finished with a brass nail head trim. The leather is soft and luxorious. Perfect for behind any executive desk.